Escape the ordinary during stays at this superior Caribbean getaway. Fronting an expansive stretch of white-sand beach, families, golf-lovers, couples and honeymooners alike are treated to refreshing pools, luxurious treatments at the spa, an 18-hole golf course, a wide variety of dining options at dynamic restaurants and plush accommodations complete with incredible vistas, a double-Jacuzzi tub and the exclusive Palace Bed®. Distinctive and unique, this polished haven is an oasis for sunshine and fun. Renovations/Important Information: The casino will be available later in the year. Currently, there are 68 slots machines. The expected opening of the golf course is for this fall. Courtesy transportation is provided to play at Rocco Ki. (Green fees at Rocco Ki are not included). Free Long distance calls to the US. Canada not included. Cancellations made inside of 3 days prior to arrivalor No Shows, incur a 1 night penalty and applicable product penalties. Valid for travel: Jan 9, 2009 - Dec 23, 2009 and Jan 4, 2010- Dec 23, 2010. Hotel Deposit Requirements A credit card imprint and photo I.D. will be required at check-in for telephone and incidental charges. Note: Bedding type is not guaranteed. Very spacious guest room features a private balcony, LCD satellite TV, liquor dispenser, Biosilk Farouk bath amenities double Jacuzzi. Occupancy limits - 4 of adults, 2 children, 4 total combined. A maximum of 2 children through age 3 stay free in existing beds with at least 2 adults. Children ages 4- 17 are surcharged. *Golf package for adults 18 and over includes: Unlimited rounds of golf per adult per stay (non-transferable) at the Cana Bay Palace Golf Club, beverages, snacks, and a shared cart. *Tee times are subject to space and availability and can only be reserved (90) days prior to client's arrival. 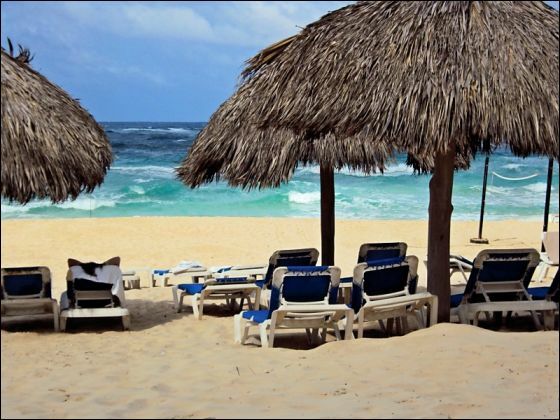 They can be pre-arranged at "teetimes@palaceresorts.com"
*Transportation to and from the golf course is not included. *All adults sharing the room must pay the golf package rate as it cannot be sold separately. Unused rounds of golf are non-refundable. Golf is available for children under 12 years of age at a special rate. Children ages 13-17 may purchase golf packages at the resort, but must pay adult rates. Occupancy limits - 4 adults, 2 children, 4 total. A maximum of 2 children through the age of 3 stay free of charge in existing beds when accompanied by 2 adults. 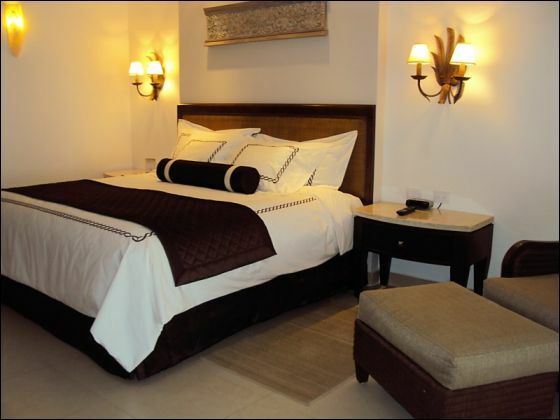 Very spacious guest room features a private balcony, LCD satellite TV and double Jacuzzi. Golf/Spa Packages include one round of golf OR one selected spa treatment per adult/per night. Tee times and spa treatments can be reserved 90 days prior to arrival. *All adults sharing the room must pay the golf/spa package as it cannot be sold separately. Golf/spa package is interchangeable and can be used in any combination once per day (number of green fees and select spa treatments are based on number of nights booked). Unused rounds of golf or spa treatments are non-refundable. Children ages 13-17 may purchase golf or spa packages at the resort, but must pay adult rates. Occupancy limits - 4 of adults, 2 children, 4 total combined A maximum of 2 children through age 3 stay free in existing beds with at least 2 adults. Children ages 4- 17 are surcharged. Bedding options available: 2 connecting Caribbean Suites. A maximum of 5 children through age 3 stay free in existing beds with at least 2 adults. Children ages 4- 17 are surcharged. Occupancy limits - 4 of adults, 5 children, 6 total combined. A maximum of 5 children through age 3 stay free in existing beds with at least 2 adults. Children ages 4- 17 are surcharged. Bedding options available: 1 King bed in one room, and 2 double beds in the other room. Occupancy limits - 6 of adults, 4 children, 6 total combined. A maximum of 4 children through age 3 stay free in existing bes with at least 2 adults. Children ages 4- 17 are surcharged. 3 Beach Restaurants (Brazilian, Steakhouse, Caribbean/Seafood Cuisine). Some restaurants may only operate on select schedules. Some restaurants require appropriate dress. Consult the hotel for hours of operation and dress codes. 45,000 sq. feet Once complete there will be 500 slot machines and 40 tables games to include all the above plus Baccarat, Three card poker, Let it Ride, Poker and a VIP lounge and Race and Sports book. Children's Activity Program Yes, Complimentary Available for children ages 4 - 12. Personal "My Palace Wedding Website"
Guests are allowed to have up to 2 kids 3 and younger stay free of charge when sharing a guestroom with 2 adults! This promotion is automatically included when you book your vacation. Restrictions may apply. Surcharges will apply to kids 4-17 years old. 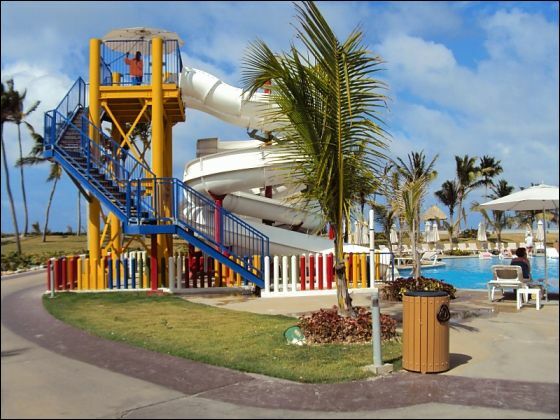 *30% discount on one round of golf at Cana Bay Palace Golf Club per adult per day when facilities are available. *25% discount on select Spa treatments per adult, per day. Not applicable at beauty salons. *Unlimited Select Tours (per person): Dominican Experience, Animal Park, and Snorkeling in Paradise. Not combinable with $300 Resort Credit. Subject to availability and change without prior notice. Proof of marriage within the past year must be provided at check-in. To receive this offer, just enter "Anniversary" in the Special Service Request section during check-out or call our Customer Care Center and we will be happy to make the notation for you. -Internet use (30 minutes) in the business center, per room/per stay. the Dominican Replublic (Some restrictions apply). Thanks for another great trip! LOVE, LOVE, LOVE THIS RESORT!!!! Hard Rock Moon Palace is about 55 mins from the Punta Cana airport. Thanks for recommending the Non-Stop Transfers, you were right and they were well worth it! This resort reminded me of being in the MGM Grand in Las Vegas. 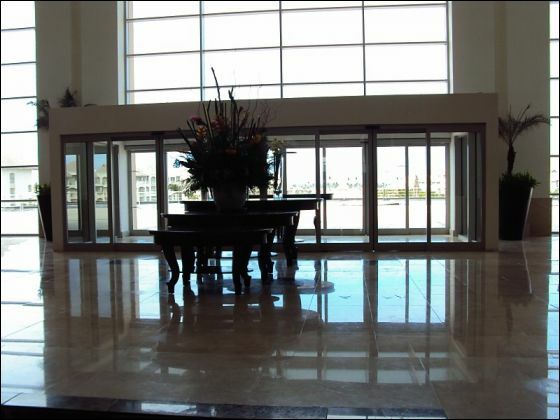 The lobby is very modern and very large. On the ground floor is where the casino is located as well as all the restaurants, little cafe's, shopping galore! This resort is very huge with 1790 rooms and every room has a jacuzzi! They even have a villa section facing the ocean that can fit 12 people! 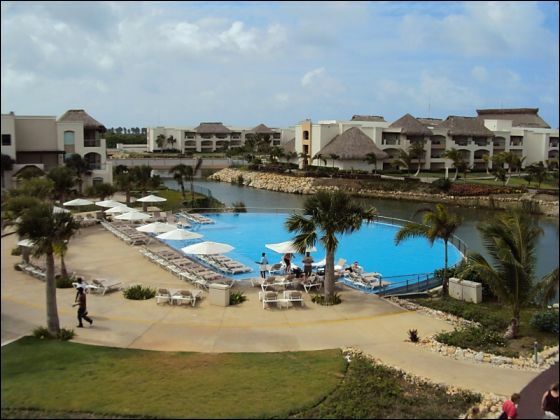 The resort has 11 swimming pools with 11 restaurants, 12 bars. The kids pool area is like alittle section of heaven where the kids have fun for hours! My daughter loved it! The fitness center is state of the art, its air conditioned and very large, so its not like you're in a little room working out with others right next to you. The spinning bikes are the best I've ever seen! AND The SPA is so lavish that they have 48 treatment rooms !! Just awesome! The beach is stunning, white sandy beach with the blue turquoise, very long for miles of walking. I'm tellin you I love love love this place...It does price higher than other resorts, but well worth it! And your price was the best I found, you always find the best deals for us! The resort was the perfect fit for us - so glad that you recommended this one - can't wait to go back! Thanks once again for your great service - we always tell everyone about the Wonderful Job you all do! Keep up the GREAT work and you WILL be hearing from us SOON for another Wonderful Getaway!